“Colour & Harmony” June 25 – July 30, 2014 The Artists of the South Okanagan-Similkameen are pleased to announce the opening of their latest exhibition. 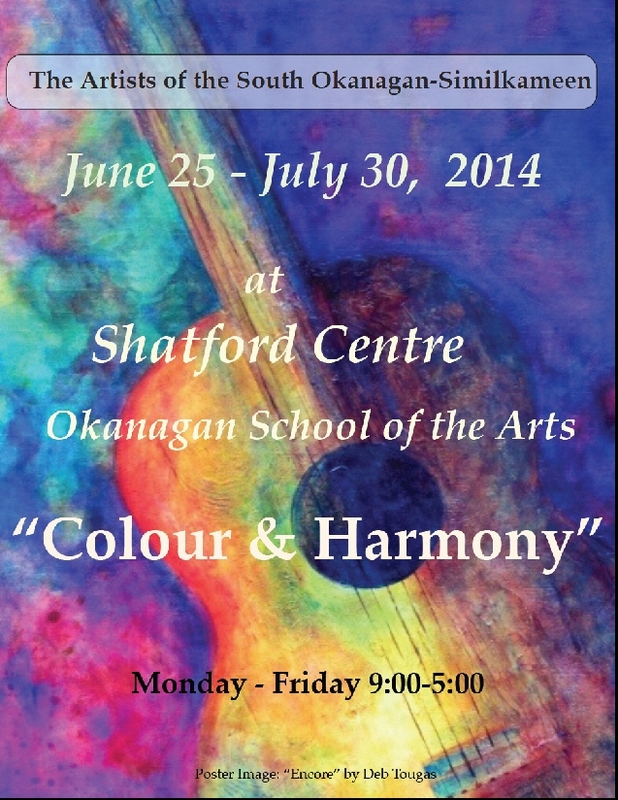 In collaboration with Shatford Centre, and timed to complement the activities of the summer music school running at Okanagan School of the Arts, the show will be in place from June 25 to July 30. Located at Shatford Centre in Penticton, “Colour & Harmony” can be viewed Monday through Friday between 9:00 a.m. and 5:00 p.m.